New Rochelle, NY, October 2, 2018–Drug safety and effectiveness vary greatly among populations worldwide. Genetics is one of the factors that contribute to variability in drug response. The science of pharmacogenetics, a key driver of precision medicine, studies person-to-person differences in genetic make-up in relation to drug metabolism, transport and molecular targets. A new pharmacogenetic study of 6060 adults in 12 countries from Europe (Spain and Portugal), North America (Mexico), Central America (Costa Rica, Nicaragua), the Caribbean (Cuba), South America (Argentina, Brazil, Colombia, Ecuador, Peru and Uruguay) reported the individual and population variations in key drug metabolizing enzyme genes CYP2D6, CYP2C9 and CYP2C19, and their predicted metabolic phenotypes. 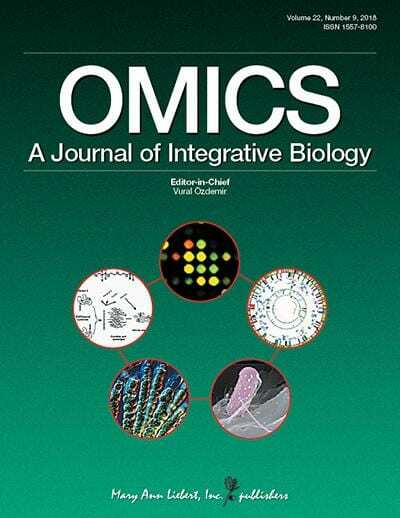 The report titled "Interethnic Variability in CYP2D6, CYP2C9, and CYP2C19 Genes and Predicted Drug Metabolism Phenotypes Among 6060 Ibero- and Native Americans: RIBEF-CEIBA Consortium Report on Population Pharmacogenomics" is published in OMICS: A Journal of Integrative Biology, a peer-reviewed publication from Mary Ann Liebert, Inc., publishers. Authored by the CEIBA-Consortium of the Ibero-American Network of Pharmacogenetics and Pharmacogenomics RIBEF, the study is the largest carried out in Ibero-American populations and Native Americans, analyzing human genetic variation in salient drug metabolism pathways, with a view to functional impacts on drug pharmacokinetics and response. The senior authors of the publication, Adrián LLerena, MD, PhD and Eva M. Penãs-Lledó, PhD (Extremadura University, Badajoz, Spain), explained that "population pharmacogenomics is a nascent field of global health and warrants further research and education." They added that "analyses according to self-reported ancestry in 1395 Native Americans and other Ibero-Americans showed marked population differences in variants of CYP2D6, CYP2C9, and CYP2C19 genes and their predicted phenotypes. Moreover, differences were observed within the Native American sample as well." * "Innovation Analysis on Postgenomic Biomarkers: Glycomics for Chronic Diseases" by Prof. Wei Wang and colleagues (Edith Cowan University, Australia), OMICS 2017; 21(4): 183-196. * "Toward a Taxonomy for Multi-Omics Science? Terminology Development for Whole Genome Study Approaches by Omics Technology and Hierarchy" by Prof. Tanja Kunej and colleagues (University of Ljubljana, Slovenia), OMICS 2017; 21(1): 1-16. * "GeneAnalytics: An Integrative Gene Set Analysis Tool for Next Generation Sequencing, RNAseq and Microarray Data" by Dr. Gil Stelzer and colleagues (Weizmann Institute of Science, Israel), OMICS 2016; 20(3): 139-151. These articles are available free on the OMICS website until November 2, 2018. Mary Ann Liebert, Inc., publishers is a privately held, fully integrated media company known for establishing authoritative peer-reviewed journals in many areas of science and biomedical research, including Journal of Computational Biology, ASSAY and Drug Development Technologies, and Zebrafish. Its biotechnology trade magazine, GEN (Genetic Engineering & Biotechnology News), was the first in its field and is today the industry's most widely read publication worldwide. A complete list of the firm's 80 journals, books, and newsmagazines is available on the Mary Ann Liebert, Inc., publishers website.